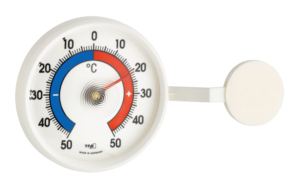 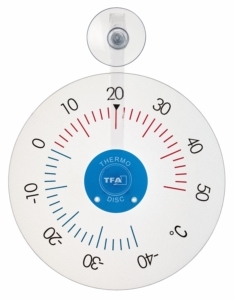 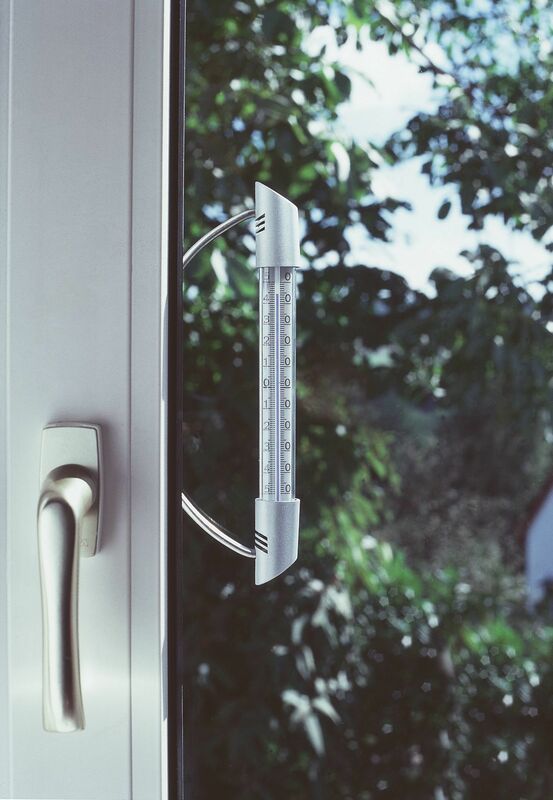 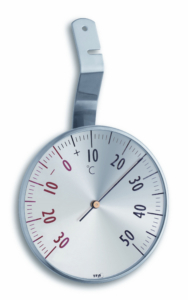 This window thermometer is mounted to the outside of the window frame with its elegant stainless steel holder. 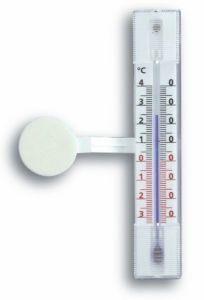 Just use the screws to put it into the right position. 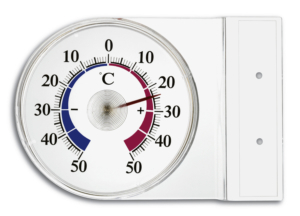 Now you can easily read the outside temperature from the comfort of your living room.